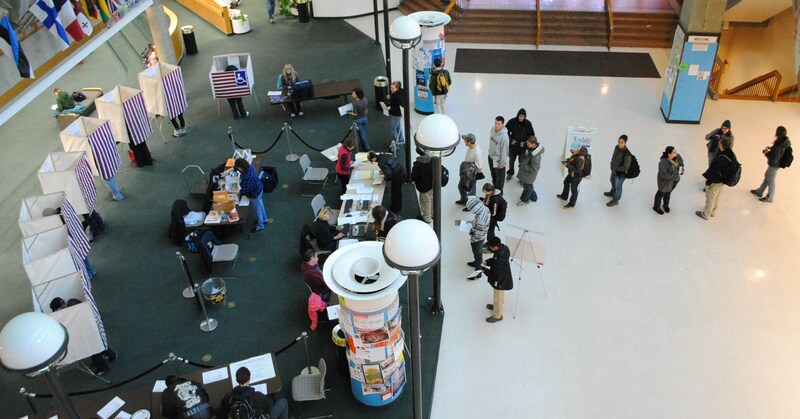 UAF Wood Center polling station at 1:40PM. 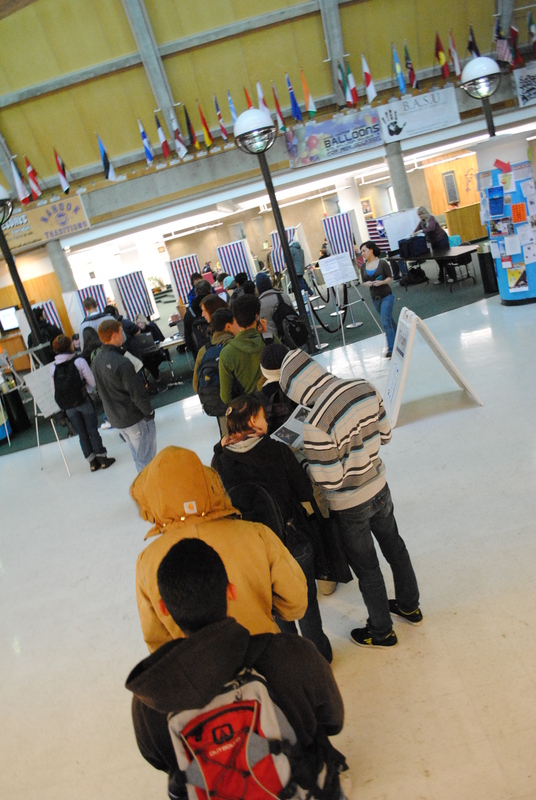 A group of students stand in line to vote at the Wood Center's polling station (1:40PM). This is Day 6. Two more day’s until T.R.’s birthday. His 152nd birthday to be exact. There are good men and bad men of all nationalities, creeds and colors; and if this world of ours is ever to become what we hope some day it may become, it must be by the general recognition that the man’s heart and soul, the man’s worth and actions, determine his standing. This quote ties in well to yesterday’s in that both deal with merit. This line, however, also brings to the table the notion of equality and how we should “judge” an individuals worth by their actions, ideas and personality. This is a powerful notion well worth striving for, especially in an election year where we go about the business of deciding who to best represent our interests. We judge those candidates not only on their ideas, but on their personality, intellect and practical actions. Or at least we should, anyways. In case any readers were curious all of the quotes I have used come from the Theodore Roosevelt Association. They have a nice little section called “In His Own Words” which has been very helpful during these blog posts.